BP said on Thursday that approval has been received from the UK Oil and Gas Authority (OGA) to proceed with the £200 million Vorlich development in the central North Sea. The development will target 30 million barrels of oil equivalent, expected to produce 20,000 barrels gross of oil equivalent a day at peak. The project is part of a programme of North Sea subsea “tie-back” developments that seek to access important new production from fields located near to established infrastructure. 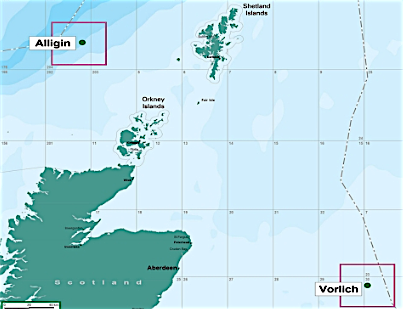 “Vorlich, a two-well development approximately 241 kilometres east of Aberdeen, will be tied back to the Ithaca Energy-operated FPF-1 floating production facility, which lies at the centre of Greater Stella Area production hub,” said BP. “This is increasingly important as competition for global investment funds gets stiffer.